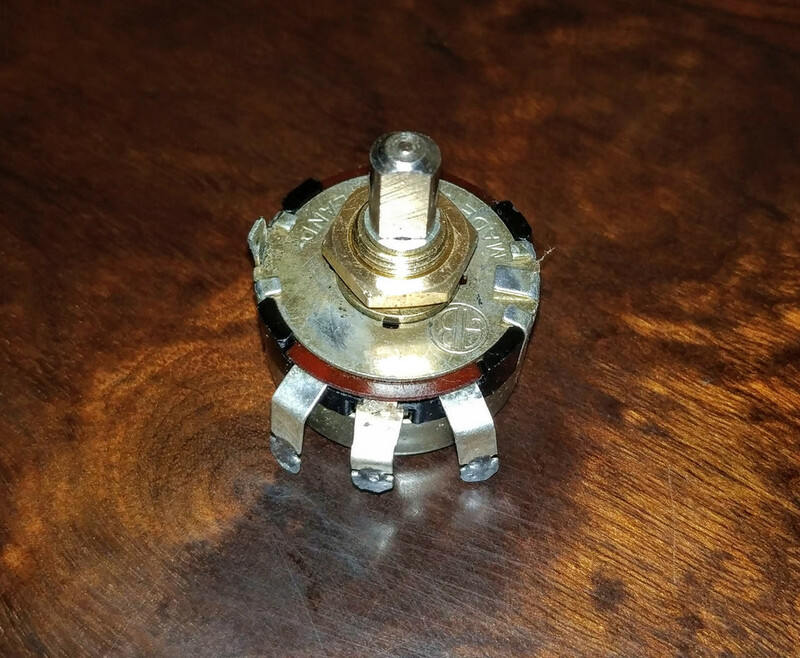 Time for cleaning the potentiometers (yes the volume, tone pot's do have a fancy name!). I read a lot and even ordered the cleaning spray, but did not have the guts to use it. 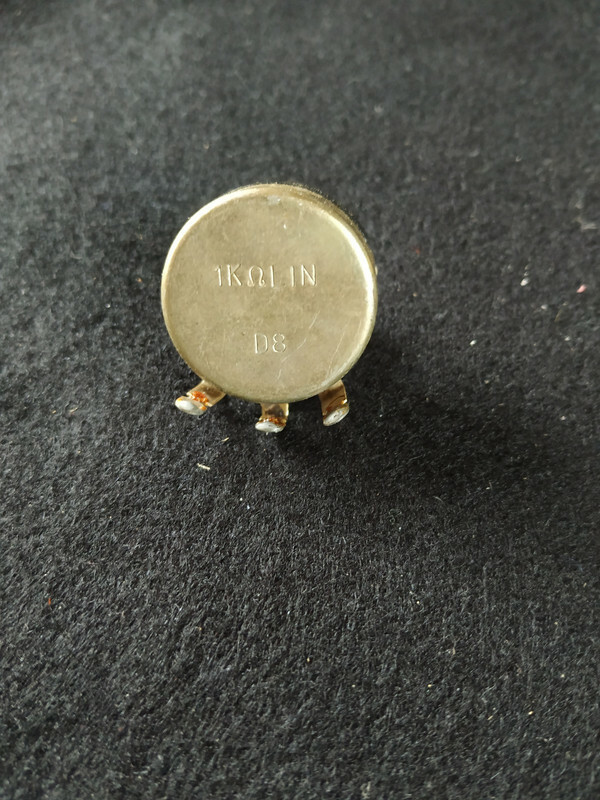 I had a look at the tags that is holding the whole potentiometer together, but I am not confident that the old metal will withstand two bendings thereof if I opened and reassembled the body to manually clean it. Twisting the knob confirmed once again that it is dirty. Like in jucky very dirty. I decided am going to take a chance on my cleaning solution and see how and if it will work. 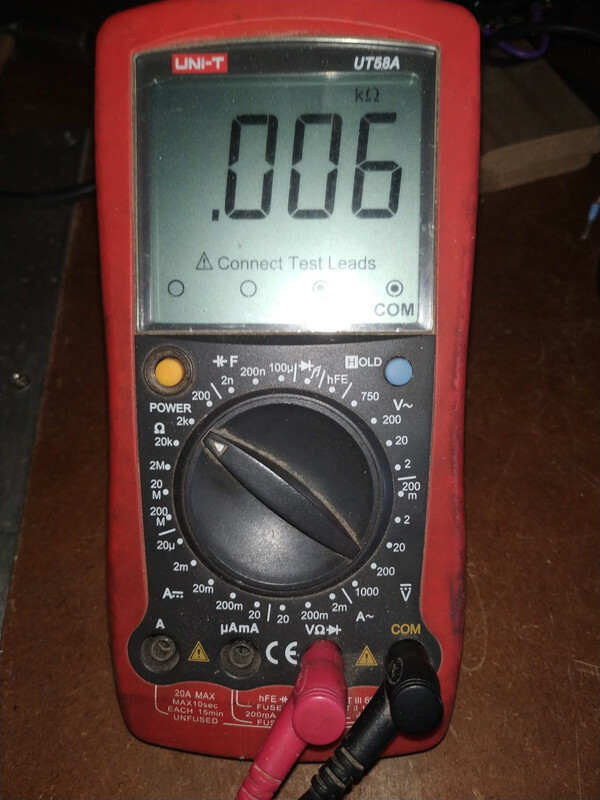 I took the 1 kΩ potentiometer as shown below and measured the maximum and minimum resistance. 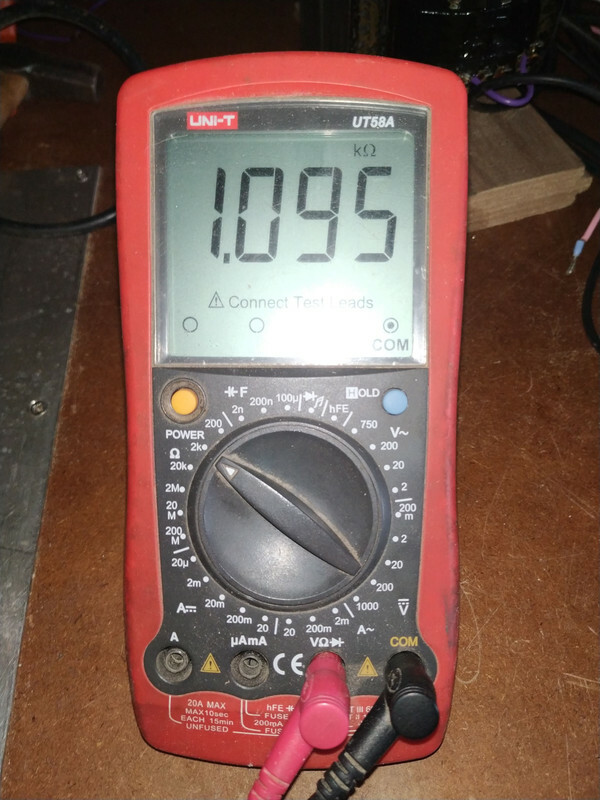 At first the minimum wandered around and only after turning the knob a few turns could I obtain a fairly stable reading. The dirt creates real havoc inside! Maximum reading went well as obviously the wiper is at the end of the carbon track and most likely touching the post. So why the measurement? 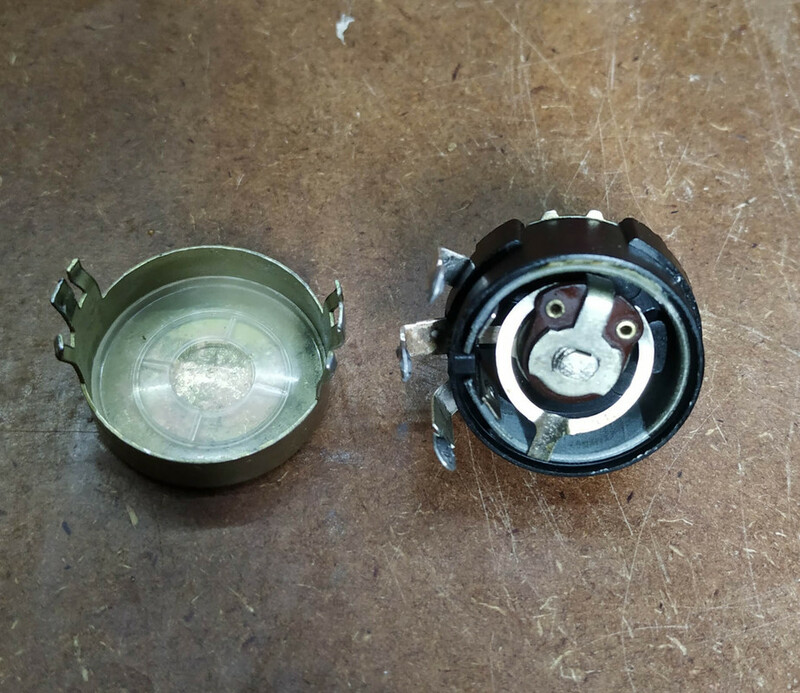 I want to see how the cleaning process went and how the potentiometer is performing after being cleaned. I made a new mixture of my cleaning solution. What is this you might ask? I touched on it over here. Hope your cleaning solution, especially the spirits/ammonia does not dissolve or damage the carbon track. Do you mix equal parts of all the ingredients when you make up your cleaning solution ? I would also tend to be cautious with a fluid that may be fine for general cleaning but not necessarily for pots. At work we use a product called Saf-Dem (manufactured by Safic) for the cleaning of PCBs from portable & mobile radios, their casings, etc, and this works like a charm. It is a moisture remover as well as an anti-corrosion agent. We simply dunk the whole PCB in it, components and all and everything comes out sparkling clean. Cleans the outer cases as well. Thanks for the advise gents. 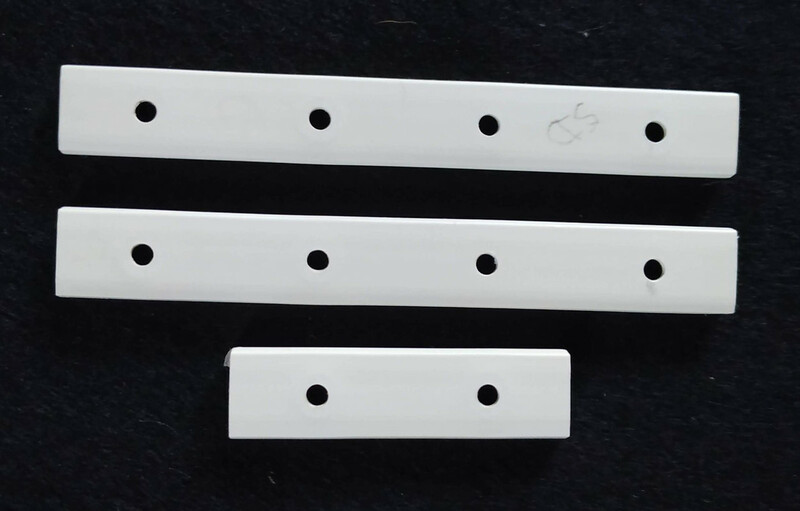 The problem with these pots is that there is almost no access to the inside and the only four holes are about 0,5mm in diameter as you can see below. So it is a problem getting dirt in and out of the pot unless I open it which I do not want to do. After four hours of soaking and the pot came out very clean. A few turns of the wiper and I could feel no grit nor a smooth carbon track. I however felt the ribs of a rheostat! 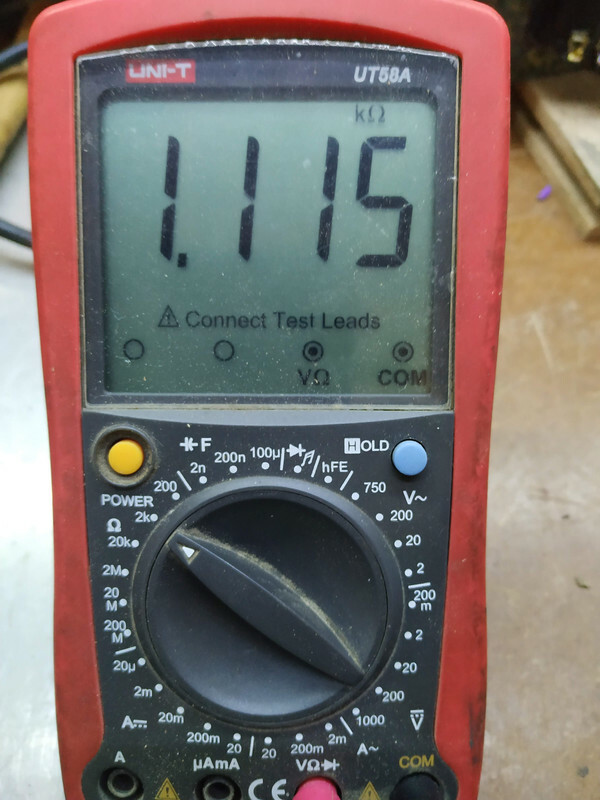 So these are quality wire wound rheostats. I spent quite some time blowing through the pot with high pressure air which is a feat as the minute holes do hamper movement of air and fluids. Adding some lubrication of the spindle using Wynn's No 5 (no silicone) and all felt and moved well. Here is the pot looking like new. 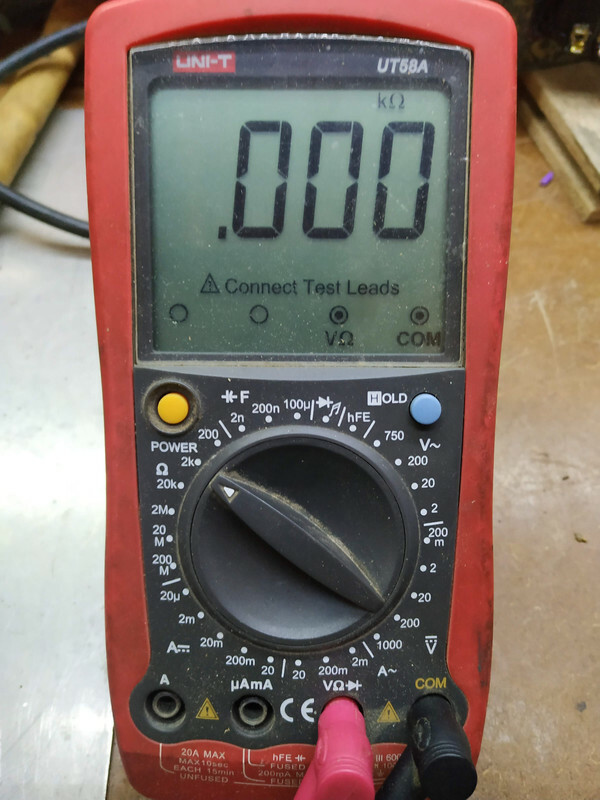 To exactly the same value as measured between the two outer connectors. Do you mix equal parts of all the ingredients when you make up your cleaning solution ? 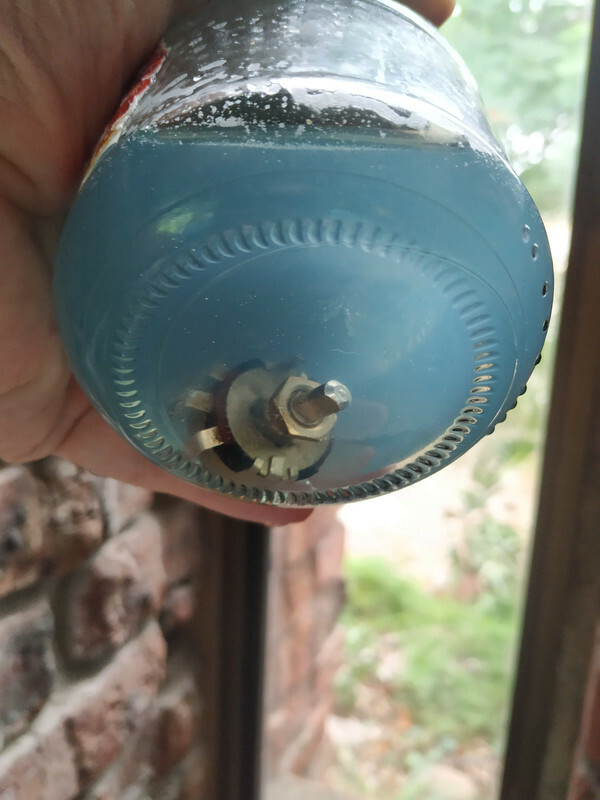 Those steel tabs on the old pots are pretty durable, if carefully opened and closed they definitely shouldn't break off. You could probably open the tabs a few times if careful and they wouldn't break off. So I succumbed to the temptation ... bring more apples please! 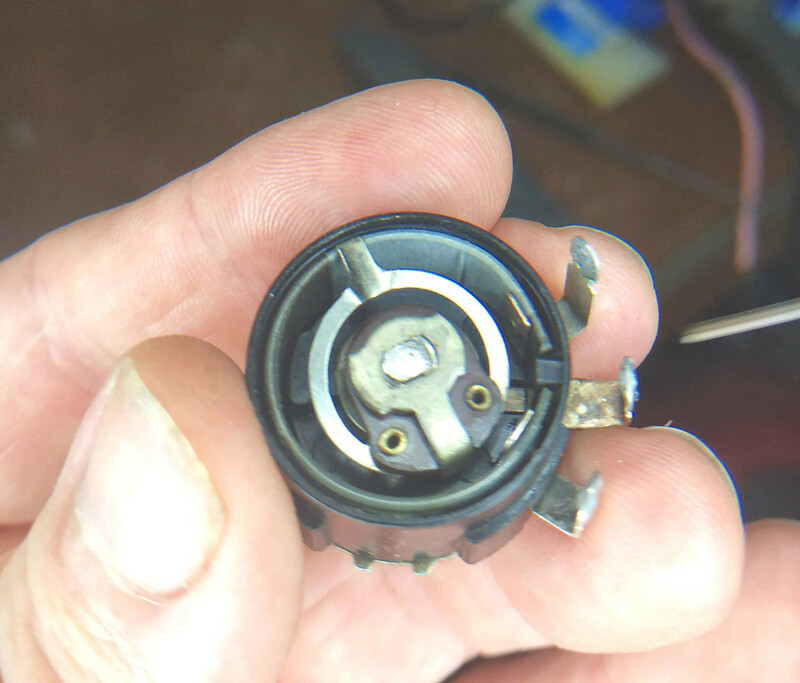 I opened the pot and it is a really good quality rheostat as can be seen below. I could not strip it any further as this will require opening the retaining ring as indicated and if I do this it will be destroyed. The pot came out very clean. I am actually surprised as to how well the cleaning method worked. It was bone dry inside and very clean with no sign of any dirt or grime! 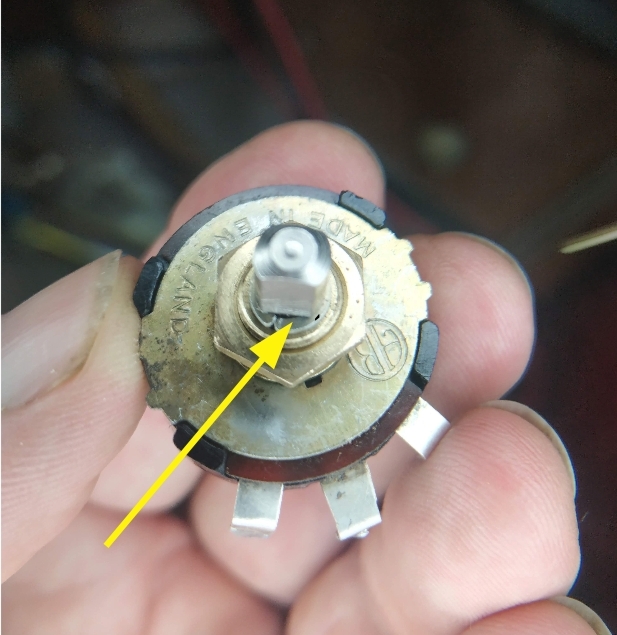 The only thing that I need to manually do is remove the old grease and add some new lubrication on the edge of the rheostat wiring. That does look good, almost brand new. No need to disassemble it any further, just apply some good quality grease to the windings and carefully reassemble. It does look amazing. I read a bit and it seems silicone grease is the way to go. I will see what I can find in town tomorrow. The chassis plate slide holders all cleaned and surprisingly white! How did the pot's contacts look with all the many years of use . Especially being a volume pot. @1200GXman do you mean the physical contact of the wiper to the external centre post? The wiper runs on the rheostat wiring and that looks good. 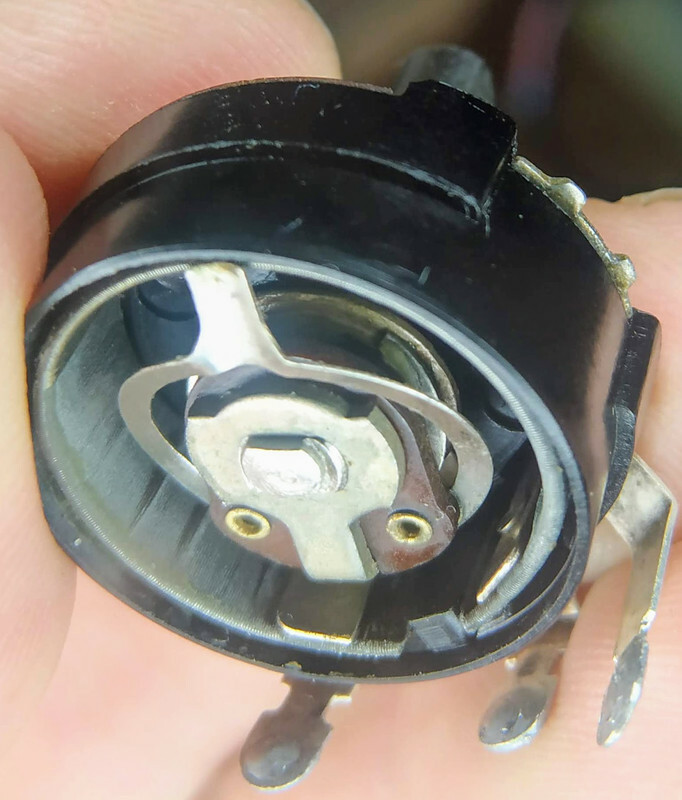 The bottom contacts of the wiper runs on a ring which as you can see below is a bit oxidized, but should be easy to clean. Yes, that is what I meant. Still looks good after many years of use and abuse. please post a pic again after oxidation has been cleaned off.